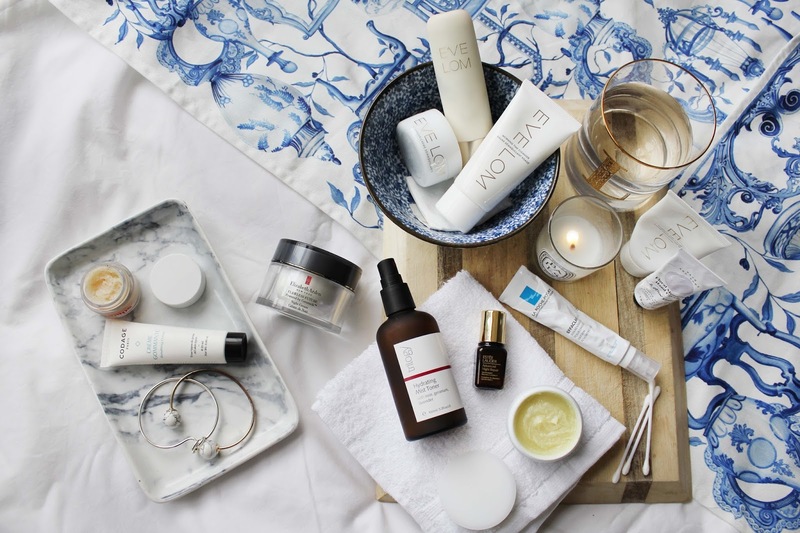 If, like me, you live in the UK and are currently suffering from the sudden plummet in temperatures then this post will help you - and more specifically, your skin. 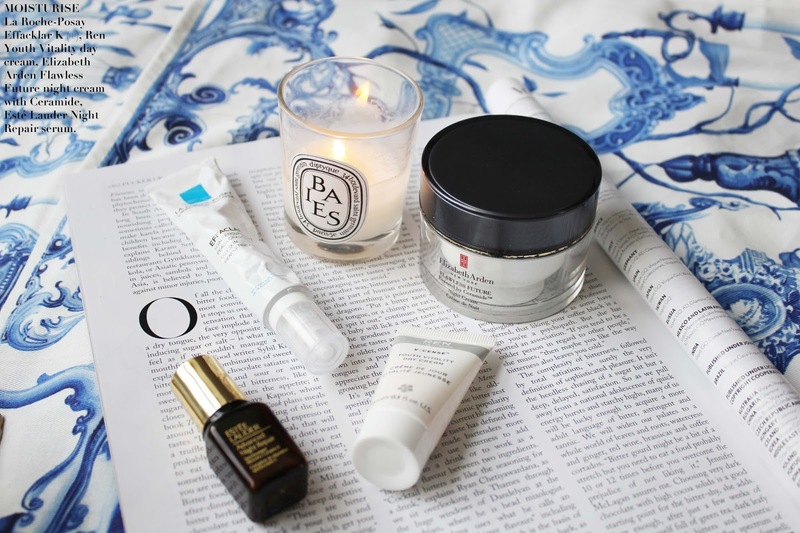 I'm of course no skincare expert, but these products have been absolute saviours for my skin this winter and I thought it was about time to share them with you. 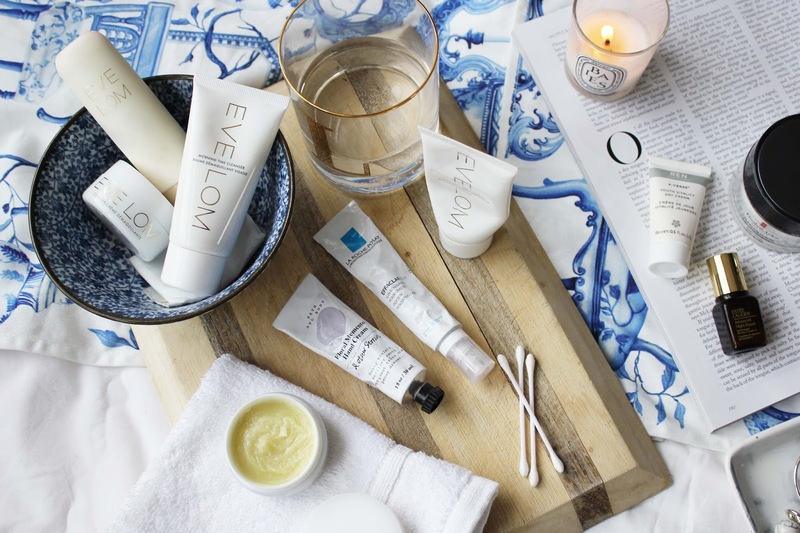 I first discovered the pure magic of Eve Lom through Look Fantastic's beauty box's. They are a little on the pricey side, but 100% worth the splurge and I instantly fell in love with the quality of the product and what it did for my skin. A heady mix of clove oil, eucalyptus oil, hops oil, Egyptian chamomile and coco butter drains away toxins and soothes the skin, making the whole make-up removal process such a relaxing experience as apposed to something I used to dread doing at the end of the day. Massaging the balm into my dry skin feels like a real spa treatment, following the instructions on the pot I use a hot muslin cloth to steam and then remove the product. It exfoliates too, and even if I don't bother follow with moisturiser my skin feels thoroughly nourished and doesn't feel dry in the slightest which is super important for cold weather. They also do a lighter 'morning time' version too which is great when you want to use a little less product at the start of the day. Shop Eve Lom here or via the images below. Cold weather often drys out the skin and pumped up central heating can also do the same. I sometimes suffer from dry skin around my nose and chapped lips, pores can often quickly get clogged up where we try to over-compensate with moisturiser too, so exfoliating becomes a really important part of my skincare regimen in the winter. 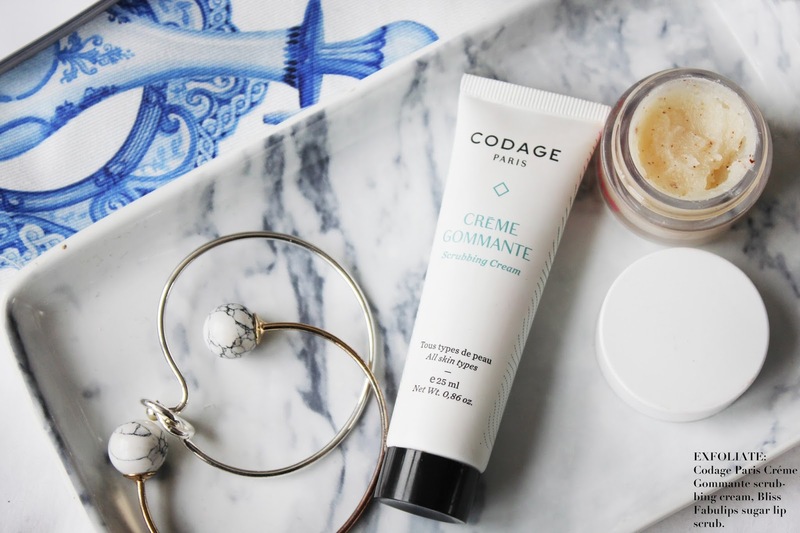 At the moment I'm ling this scrubbing cream by Codage, it's fine-grain formula is great for scrubbing all the right corners of your face and perfect for skin that may become sensitised during the cold weather. To keep my lips from chapping the Bliss Fabulips lip scrub is packed with sugar grains to keep my pout super smooth and soft. And, for an all-round perfect pout Bliss' complete lip care kit is definitely worth trying out. 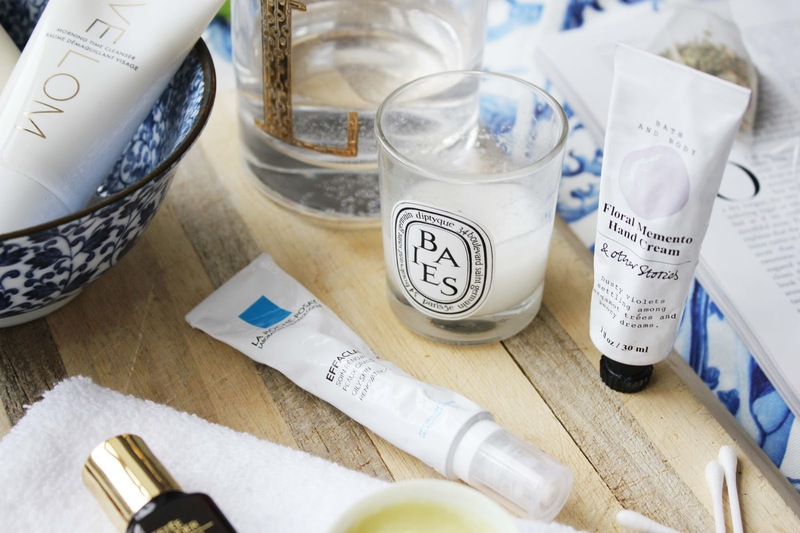 Staying hydrated I find is the most important thing for my skin. Though, managing to down a few litres of plain water a day can be a little daunting. I like to keep up my water intake by adding some healthy flavour, be it from a natural squash or enjoying a cup of my favourite teas. We all know green teas are packed with anti-oxidants and it's definitely one I try to drink often, but there's so many different brews, flavours and ingredients to try out that each have lots of different benefits. This Lemongrass & Ginger tea I was given as part of this gorgeous set by Libertey at Christmas, for example, is great for picking me up if I've been out for a few drinks the night before. 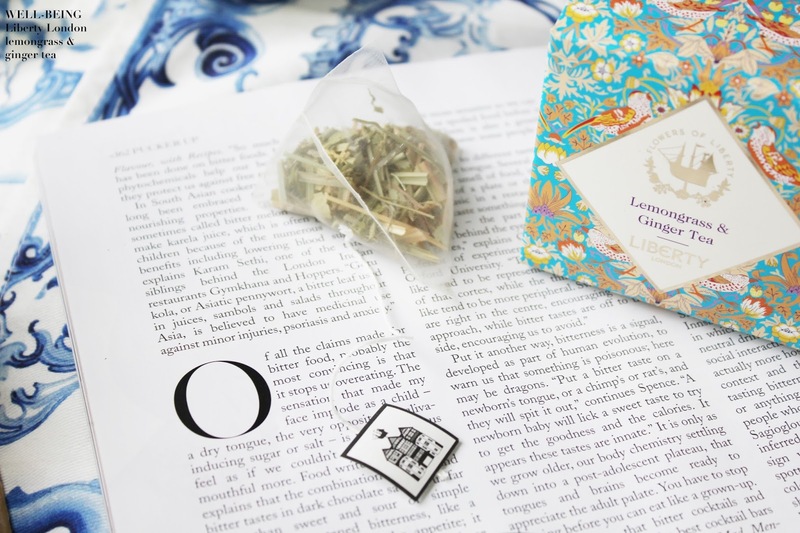 Tea's can do all sorts of great things for you and are a great way to keep your skin hydrated. Moisturising is important not only in winter but all year round, so I'll always have a few products on the go. I'm lucky to stock up on samples (hence all the miniatures, haha) through events or beauty box's so I'm always trailing different creams but these few have been the key products on my skincare shelf these past few months. As I mentioned, pores can easily get clogged up during the winter and I suffer the most with this around my nose and chin and that's where La Roche Posay anti-sebum 8hr cream comes in. The Effaclar K (+) cream claims to be full of ingredients that reduce pores and sebum and mattifies skin for 8hours from initial application. After using this cream twice daily for about a month and have already noticed a significant reduction in pores and it actually makes a great make-up base too. If I feel I need extra hydradtion, I follow with Ren's Youth Vitality day cream. This stuff smells amazingly natural and glides onto the skin without leaving an oily residue and will keep skin hydrated all day. Before bed, I'll use Elizabeth Arden's Flawless Future night cream after cleansing. 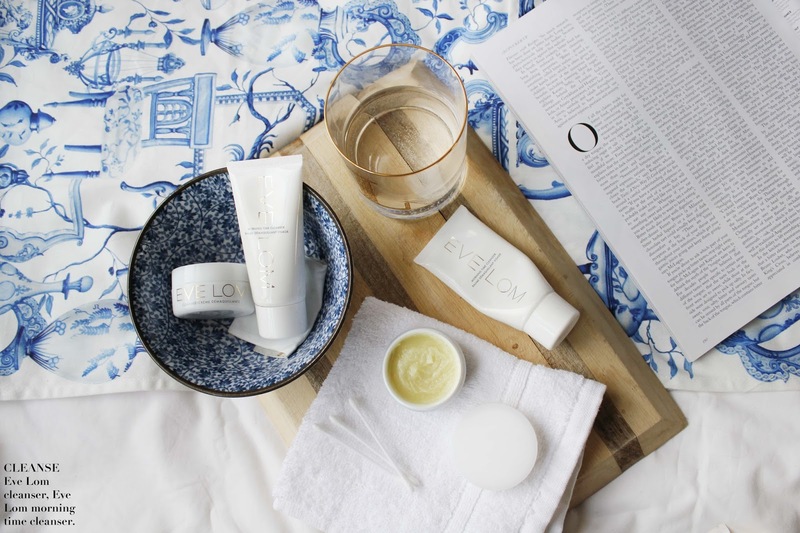 I can feel the rich formula deeply hydrating my skin from the moment I put it on, when me and my skin are tired in the evening this stuff is really revitalising. For those day's I've been outside shooting for hours I also use Esteé Lauder's Night Repair serum which is such a classic product you don't need me to tell you how great it is. There are some extra essentials that I wanted to include in this post, the Trilogy hydradting mist toner I use year-round but is perfect for that extra bit of hydration and the relaxing rose petal, lavender and rose-petal scents are perfect for helping me relax on cold winter nights. Hand cream is also so essential for this cold weather. I like to keep a little tube in my handbag for a little nourishment throughout the day when my cold dry hands need it. This & Other Stories one is a perfect travel size comes in at just £4. I know primers are perhaps more make-up than skincare, but this Eve Lom brightening one is the perfect base for me at the moment, it's also SPF 30 so ideal if you're lucky enough to be off skiing this season. As I've mentioned my skin can look a little tired in the winter and this brightening formula is great for that extra bit of radiance under my makeup. Lastly, my beloved Diptique Baies candle. Now I know this isn't skincare in the slightest, but its an essential relaxation tool for me and I think if you're relaxed, your skin will show it too. I really hope you've enjoyed today's all-about-skin post. 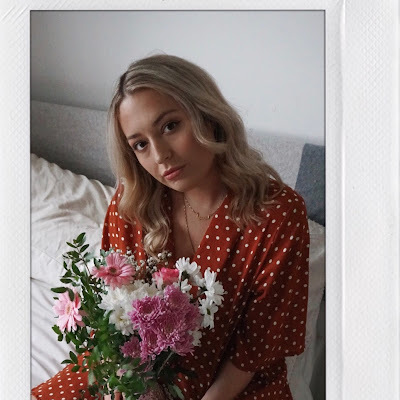 I've really got into beauty and skincare over the last year so I'm so excited to finally share some of my favourite products with you. 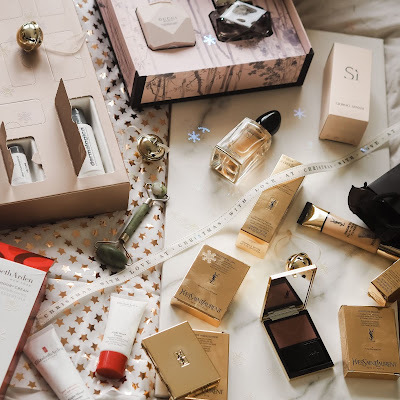 I would love to hear your thoughts on this post and whether you've obsessed over any particular products this winter - leave me a comment below!